What's black, white, and yellow all over? Girl, today my nails! Hmm we are keeping it pretty simple over here these days plus I'm a little mad that I had to chop off my nails (but this isn't that hand). Honestly, if it hadn't been the middle and such a bad break I would have left them because in general I don't worry too much about all of my nails being the same length. 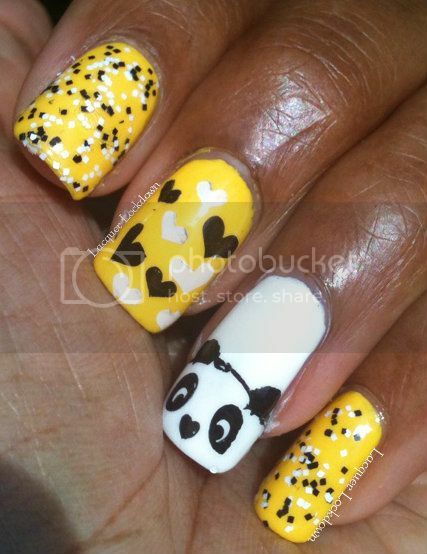 Alas I needed something to soothe my ravaged soul so I brought out my feel good animal - the panda. They are so darn cute how could anyone be unhappy looking down at those all day? The panda is totally smug - he knows he's in charge lol! I wanted to keep my color palette very simple on this one so I chose three complementing colors and just replayed them over and over within the design. I chose Colorblind Squared, a matte black and white square glitter polish in a clear base since it fit the palette perfectly. What I love about polishes like Colorblind Squared is that they literally go with everything and have the ability to add a little extra to my manicure without overwhelming the art which sometimes happens with heavier glitterbombs and wilder matte glitters. 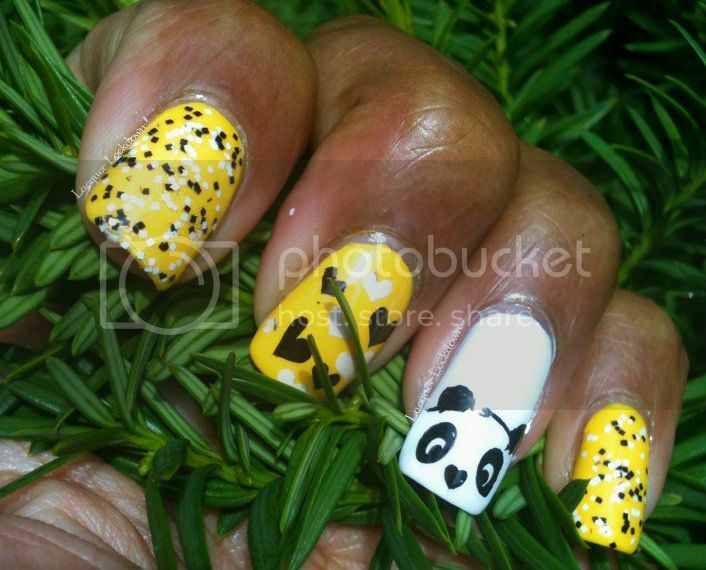 It's a jungle full of panda love ;) I am so loving how bright and fun this is! Thank you love! Aren't they fun? 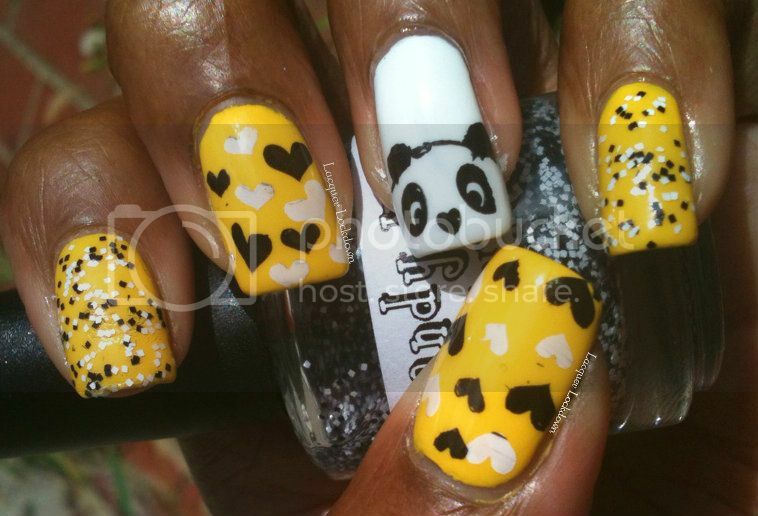 I feel like I need to do more yellow mani's in the future!